This guy—the guy at the end of the line, right in the middle of the picture—is in an interesting spot. We wanted to find out who this guy is. Turns out it’s Sam Cove. Sam is a senior accounting major who plays tenor saxophone in the Blue Band. (He also serves as band secretary this year). 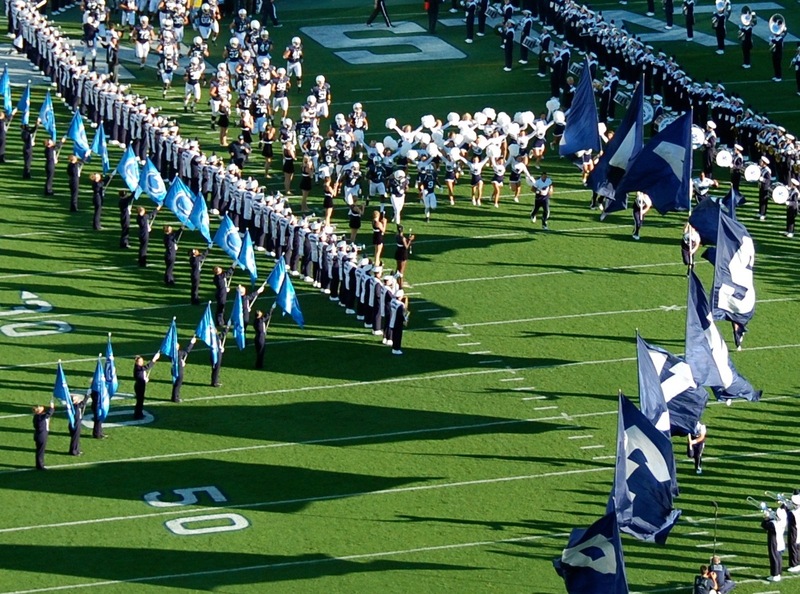 Sam caught our eye because of where he stands during the band’s pregame lineup: right at the end of the line, the first point at which the Nittany Lion players and coaches, having just charged out of the tunnel behind the south end zone, can turn toward their sideline. As you can see, Sam’s position leaves him a little bit exposed. It’s worth mentioning that Sam goes about 5-9, 150. It easy, for those of us who sit and watch the games, to take the Blue Band for granted. 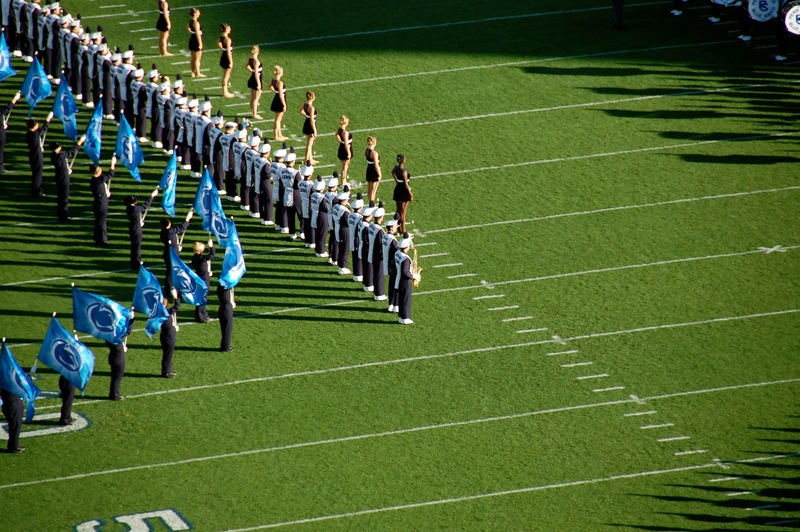 They’re always there, always great, always crisp in their classic uniforms and tight in their formations. A big, dependable unit. 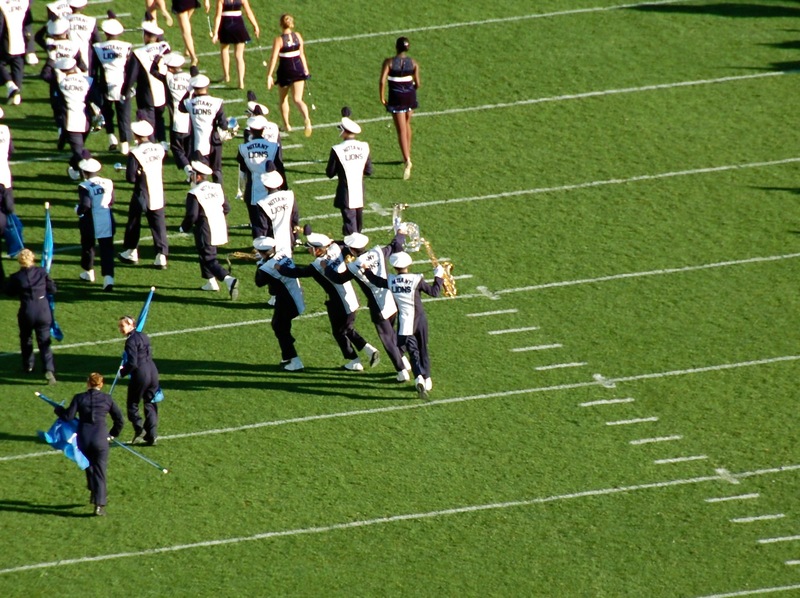 But of course, as much as it’s a single entity, the Blue Band is also a collection of individuals, some of whose jobs—the drum major being the obvious example—draw a little more attention, and imply a little more pressure, than others. Sam’s job doesn’t really draw much attention. But his position, the physical space he is required to hold for a few long minutes before kickoff … well, you might not have noticed him. But standing still in the face of that flood of big, fast-moving humanity requires a little something extra. A little more focus. Maybe even a little bit of courage. We noticed, too. That’s why we called Sam. We had to ask about the one guy who comes closer than anyone else. “I can picture him vividly,” Sam says of Bill O’Brien. Sam admits that it’s a pretty intense moment. And a pretty cool one, too. 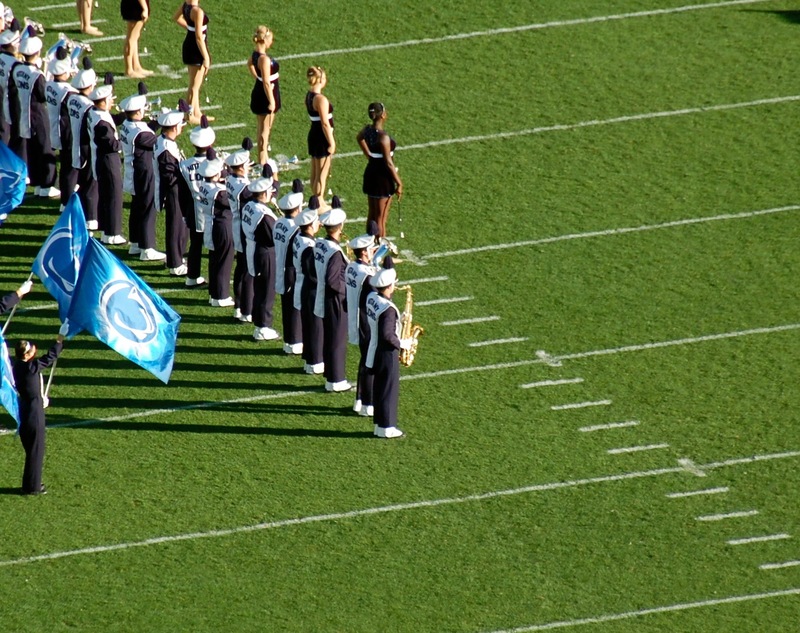 Sam will be back on campus next fall to finish his master’s degree through the MAcc Program in the Smeal College of Business, but this is his last year with the Blue Band. 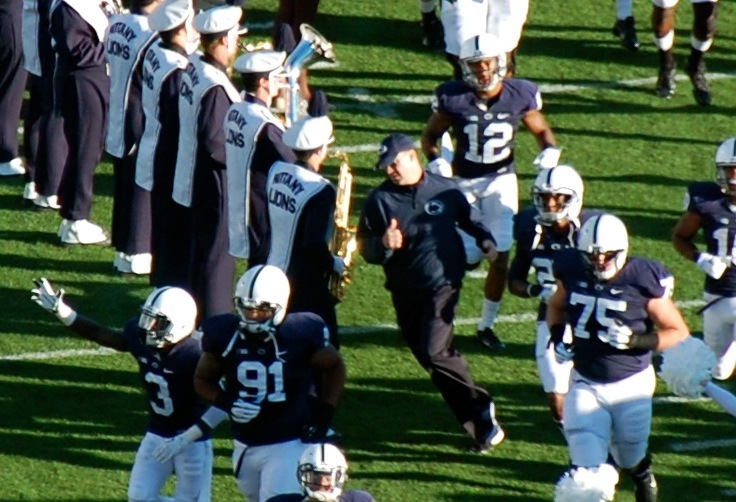 “The band’s really competitive,” he says. “For me to take a fifth year, I’d feel like I’m taking a chance from a freshman to come in and have the same experience I’ve had.” He’s content to savor this final season—knowing that, in at least one way, he’s closer to the game than anyone else. 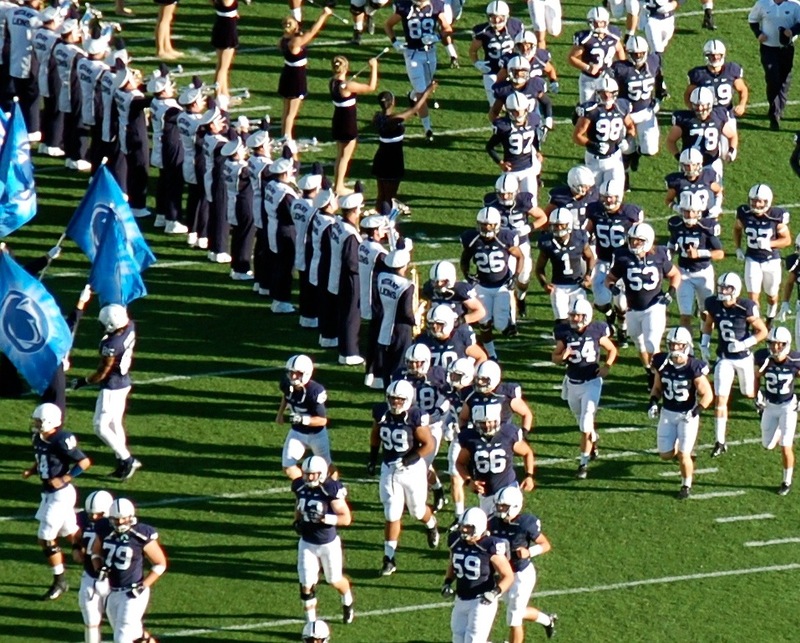 This entry was posted in Exclusives and tagged Beaver Stadium, Bill O'Brien, Blue Band, MAcc, Richard Bundy, Sam Cove, Smeal College of Business. Bookmark the permalink.